Sunday afternoon features a Big 10 heavyweight matchup as the #9 Michigan Wolverines travel to take on the #17 ranked Maryland Terrapins. Michigan is 2nd in the Big 10 at 14-4 in the conference, while Maryland is close behind at 3rd in the Big 10 at 12-6 in the conference. Michigan is coming off an 82-53 smothering of Nebraska at home on Thursday. Michigan jumped out to a 43-21 halftime lead and never looked back on their way to the rout. Michigan was boosted by a 22 point game from Jon Teske, who added 10 rebounds and was 3 of 3 from 3 point range. Freshman Ignas Brazdeikis added 20 points and 7 rebounds on 7-13 shooting and 4 of 5 shooting from 3 point range. 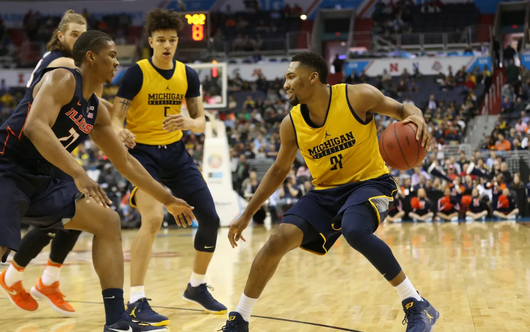 The Wolverines also got a double-double from Isaiah Livers, who posted 12 points and 10 rebounds, and a big game from Zavier Simpson who posted 10 assists and 6 rebounds to go with 4 points. Maryland is coming off a disappointing 78-61 loss at Penn State on Wednesday. The Terps were paced by Anthony Cowan Jr. who posted 15 points on 6 of 11 shooting from the field. 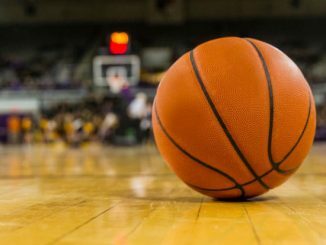 Aaron Wiggins contributed 11 points and 5 rebounds off the bench, while Bruno Fernando chipped in 9 points and 8 rebounds. Jalen Smith helped out with 9 points and 6 rebounds, shooting 1 of 2 from 3 point range as the Terps as a whole shot just 2 of 19 from long range. Michigan is led by freshman Ignas Brazdeikis, who averages 14.6 points per game, 5.3 rebounds per game, and shoots 39.8% from 3. Guard Jordan Poole puts up 12.9 points per game to go along with 3.1 rebounds and 2.1 assists per game. Charles Matthews (doubtful) adds 12.8 points per game, 5.1 rebounds per game, and 1.1 steals per game, while big man Jon Teske chips in 9.7 points per game, 6.7 rebounds per game, and 2.2 blocks per game while improving his 3 point shooting every game. Zavier Simpson is a big contributor as well with 9.1 points per game, 5.2 rebounds per game, 6.2 assists per game, and 1.4 steals per game. Michigan averages 70.7 points per game and shoots 45.1% from the field. Defensively, they hold teams to 58.2 points per game (3rd in NCAA) and 39.7% shooting from the field. Maryland is led by veteran Anthony Cowan Jr., who averages 15.9 points per game, 3.8 rebounds per game, and 4.4 assists per game. Double-double machine Bruno Fernando contributes 14.2 points per game, 10.5 rebounds per game, and 1.8 blocks per game. Jalen Smith adds 11.2 points per game, 6.6 rebounds per game, and 1.1 blocks per game while Aaron Wiggins adds 8.7 points per game and shoots 41.5% from 3. Eric Ayala chips in 8.5 points per game and 2.3 rebounds per game while shooting 43% from 3. Maryland averages 72.1 points per game and shoots 45.95 from the field. Defensively, they hold teams to 65.0 points per game (30th in NCAA) and 39.5% shooting from the field. Michigan clocks in as a 1 point favorite as of now, but that number may climb slightly. Just 2 weeks ago Michigan took on Maryland at home and beat them 65-52. Maryland scored 70+ points just twice in February, once against Purdue and once against Ohio State. Michigan is a tournament contender, and have slipped a few times the last few weeks in losses to Penn State and Michigan State. Maryland is 15-3 at home this season, and 5-5 straight up in their last 10 games. Michigan is 7-3 ATS on the road this season, and 8-3 straight up on the road this season. Michigan is looking ahead to their rematch with Michigan State next weekend, and need this win to remain in contention for the #1 seed in the Big 10 tournament. Michigan is going to come in focused and ready to build momentum going into the postseason.